Bookings are now being accepted for May and June 2019. Please follow the "How to Book at Program" instructions to register. Kids 'n Nature is an exciting approach to educational programming that will encourage children to understand and care for our region's rich biodiversity – investigating how ecology works, why biodiversity is important, and why its preservation affects humans individually and collectively. The Kids 'n Nature program has been developed and funded by The Friends of Presqu'ile Park, in cooperation with Presqu'ile Provincial Park. The program was launched in 2010, the United Nations' International Year of Biodiversity, and it coincided with the completion of the Marsh Boardwalk project. Our programming explores: food chains, habitat health and interconnectedness, species and habitat sustainability, human benefit, and stewardship. Our interpreter can come to your classroom or group meeting for an interactive talk and to prime students for a field trip. The activities provided can be scheduled for 30 to 60 minutes. Teachers who choose the in-class portion in addition to their in-park visit report a greater depth of experience by their students. A group visiting the park can choose to experience a program with our interpreter in the morning, afternoon or evening. Please allow 2 hours for a program (this includes time to get organized and a bathroom break.) Groups are welcome to spend the entire day at the park to enjoy lunch before or after the program and participate in a self-guided activity. Schools sending two classes to the park on the same day should arrange for one class to experience a program in the morning while the other participates in a self-guided activity. Classes can then switch in the afternoon. The Kids 'n Nature program concentrates on the biodiversity of Presqu'ile Provincial Park, using one of its five habitats as a teaching platform. Students will identify how they can help plants and animals in the marsh. Pond study or scavenger hunt included. Students will recognize the features of living things and how their habitat meets their needs. Pond study or scavenger hunt included. By examining different features of a habitat and specific animal needs, this program will focus on the way humans affect the environment and benefit from an animal’s existence. Pond study or scavenger hunt included. Focusing on the many types of plants in a habitat, students will recognize the value of plant life as it provides not only food but shelter, nurseries, protection and clean water for animals. Pond study or scavenger hunt included. Students will evaluate the connections between various species in a habitat and identify what makes a habitat healthy. Involves small group work. Pond study or scavenger hunt included. Living things each have distinctive needs in order to survive. Students will explore what happens when these needs are no longer met and how this occurs. Pond study or scavenger hunt included. In small groups, students will determine what a specific species requires for survival and how it is affected by other species, including humans. Pond study or scavenger hunt included. Programs are able to be tailored to include different topics and information in order to accommodate your unit and lesson planning. 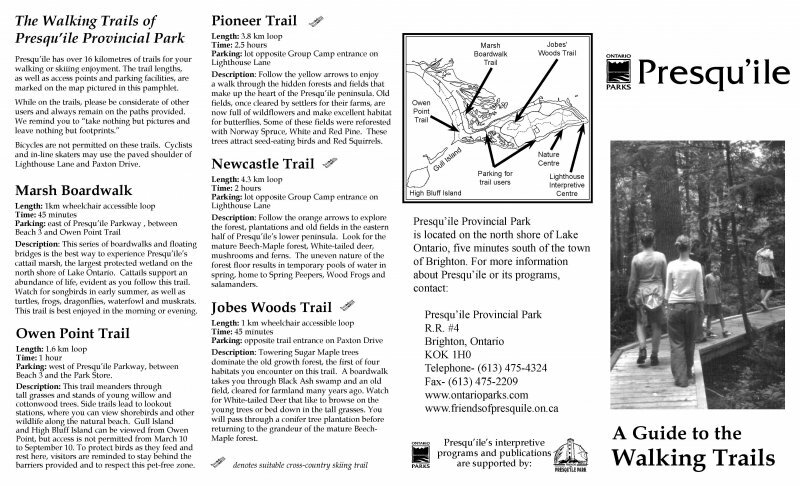 The Friends of Presqu'ile Park are generously sponsoring the Kids 'n Nature Group Programs, making your visit FREE! 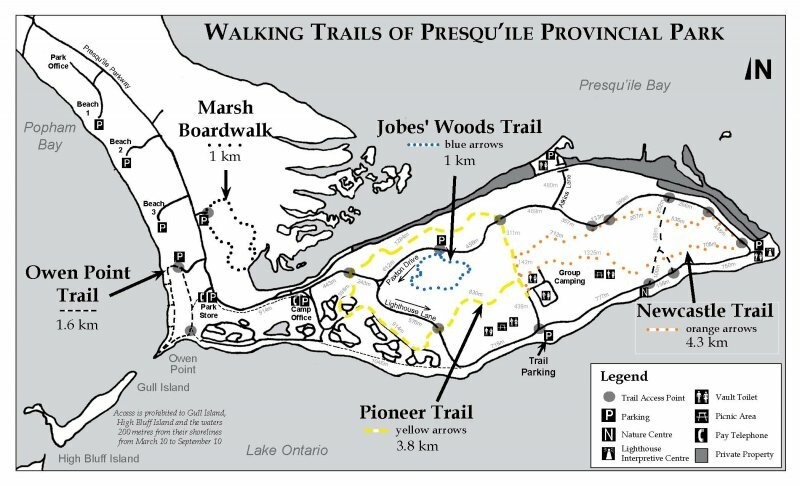 Groups are responsible for providing their own transportation to, within, and from Presqu'ile Provincial Park. Any additional vehicles, such as parent volunteers travelling in their own vehicle, are responsible for their own entry into the Park. Our interpreters are students or graduates with teaching experience and solid in-field knowledge about the Park and its local region. They are supported by Park Staff, facilities, and interpretive material. 1) Familiarize yourself with the programs we offer by reading the information above. More detailed information is available in our downloadable info pack. 2) Consider your desired program type, topic and location. 3) Check our available dates on the calendar at the top of this page. Please be advised that our programming is available between May 6 and October 25, 2019. Click on an available morning (sometime between 8:30am and 12pm) or afternoon (sometime between 12 and 4) time slot. We can only accommodate 1 class during 1 time slot for an in-park program. We can accommodate 2 classes during 1 time slot for an in-class program. Fill in the registration form that pops up. This must be done separately for EACH in-class and/or in-park program. 5) Wait for an email from us to confirm your booking. 6) Book your bus and arrange permissions. Please note that we are a "High Care Excursion" site for HPEDSB, so you will need superintendent approval for your trip.